The daily quest for perfection in all things is believed to affect up to 30% of the population. If you obsess over the small details of a project or struggle to come to terms with minor flaws in your performance, you may well be a perfectionist. But it isn’t a mere quirk of character. 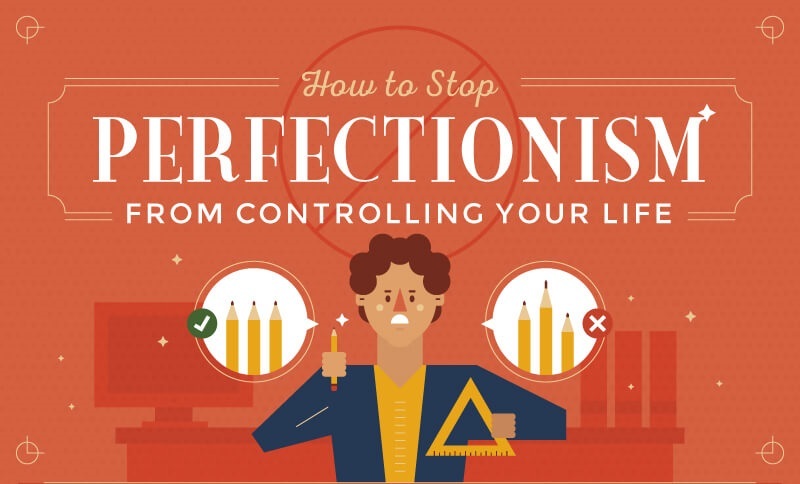 Studies show that perfectionism comes with a serious darker side if you let it take control of your life. Harsh self-criticism, low self-esteem and anxiety around making mistakes are common negative aspects of striving for perfection – and they can take a real toll on your health. Perfectionist tendencies have been associated with workaholism, depression, sleep problems, and various other illnesses. They can also impact your career, as the fear of failure can lead to procrastination and cause delays with the delivery of projects. But not to worry – there are techniques you can use to take back control. All of them require you to work hard to resist negative impulses that have likely been part of your thought processes for years. It won’t be a quick or easy journey, but it will be worthwhile. From undertaking a social media detox to challenging yourself with deliberate mistakes and rewarding jobs well done, these tips are designed to help you get back on track, one step at a time. Find the ones that most apply to your own daily struggles and put them into practice. With a bit of patience and perseverance, you should start to feel like you can stop striving for a level of perfection that nobody could ever achieve.